GREER, South Carolina — Students at the Clemson University International Center for Automotive Research (CU-ICAR) unveiled their newest Deep Orange concept vehicle, sponsored by the BMW Group. The 18-student team unveiled the fully-functional, drivable concept vehicle at the BMW Zentrum in Greer, South Carolina, on Saturday, Oct. 14. Deep Orange 7 is a re-envisioned MINI, one of BMW’s iconic brands. 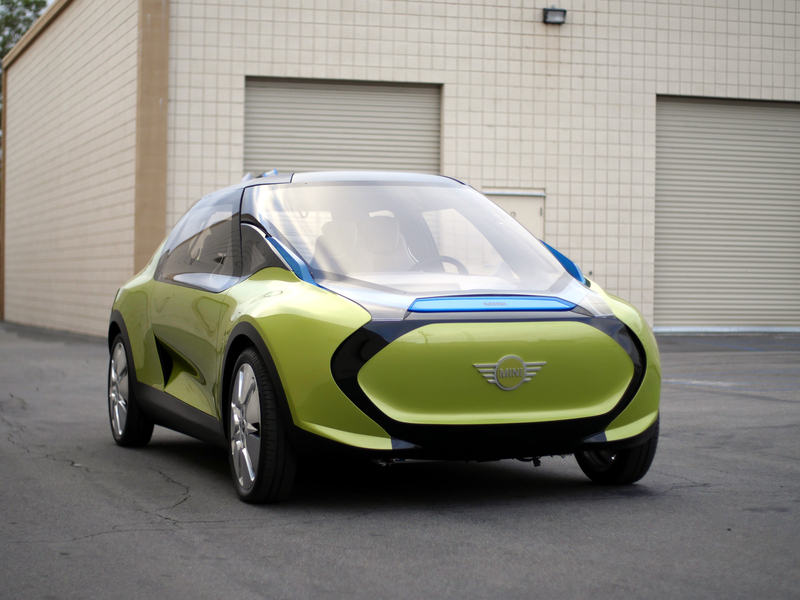 For the seventh generation of Deep Orange, students were challenged to reimagine a MINI vehicle for the premium U.S. market for 2025 and beyond. Students were in charge of determining which innovative features would fit the MINI brand, as well as how these innovations would be integrated into the vehicle. As a result of this collaborative real-world educational experience, the students designed and built a functioning, drivable concept vehicle with multiple innovative features. 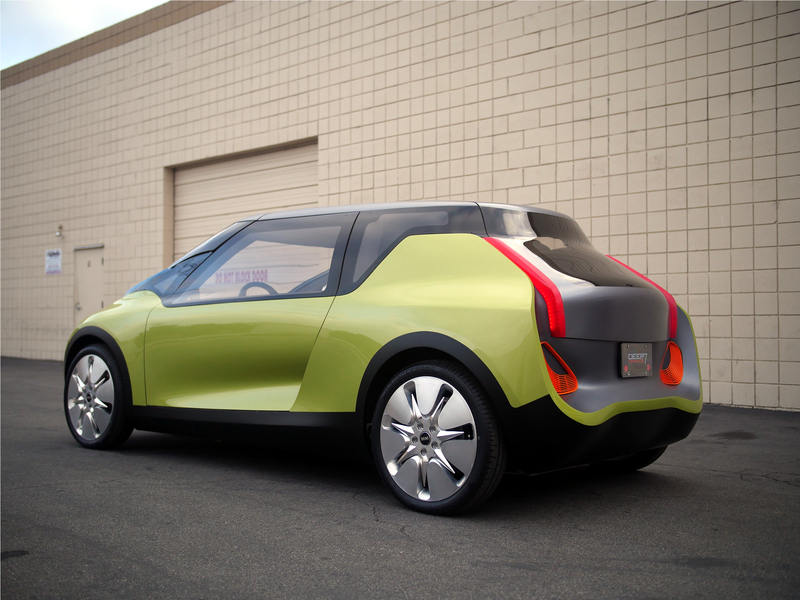 As part of the graduate automotive engineering program at CU-ICAR, select students are given the unique opportunity to create and build a concept vehicle. The project showcases advanced technologies and provides students an opportunity to work directly with automotive industry partners. Deep Orange 7 has an innovative glass hood that opens to another storage area. 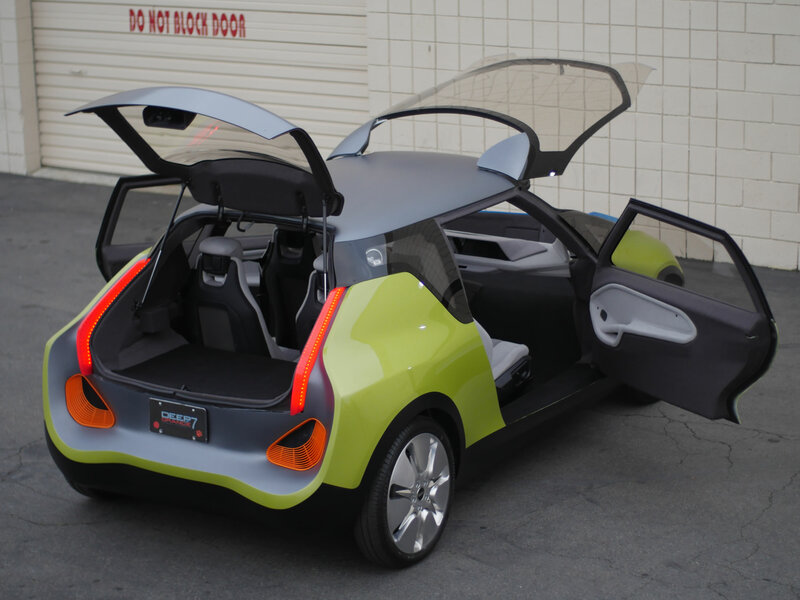 CU-ICAR partnered with ArtCenter College of Design in Pasadena, California, on the vehicle’s styling. 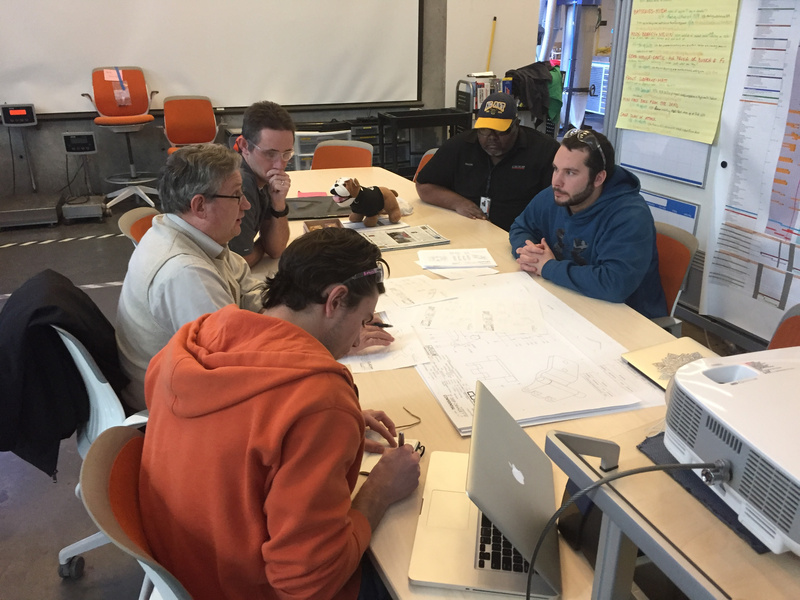 This provides engineering and design students the opportunity to collaborate just as they would in a real-world design studio. ArtCenter has been a strategic partner on multiple previous Deep Orange concepts. An innovative open design with a floating dashboard creates a single space throughout the entire vehicle, called MINI Open. The traditional hood is replaced with a windshield that reaches all the way to the front of the vehicle and is easily lifted. Occupants are provided with a unique wide-open view outwards. 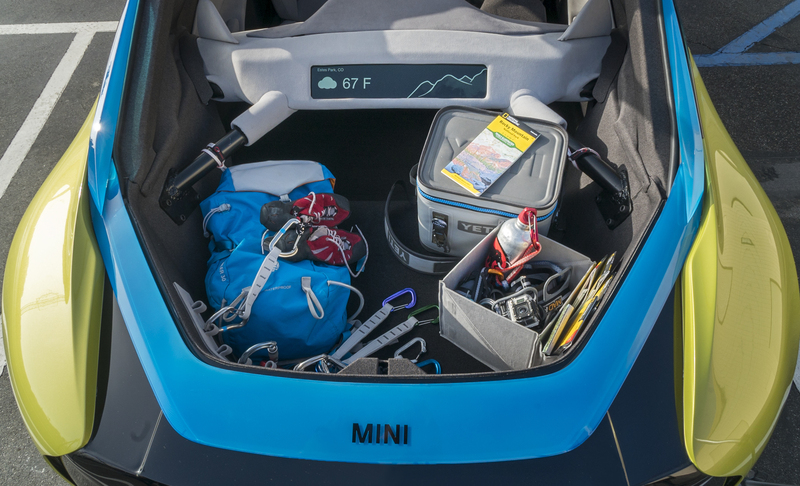 This open design enables customers to see/share/store (S³) their prized items in the front of their vehicle as well as in the rear hatch. Items can be displayed or held securely with Origami Storage, a clever and customizable aftermarket solution. A scalable powertrain provides the customer the choice of internal combustion engine, two plug-in hybrid options or a pure battery electric vehicle (BEV). The clever design means all four variants can be built on the same vehicle platform. 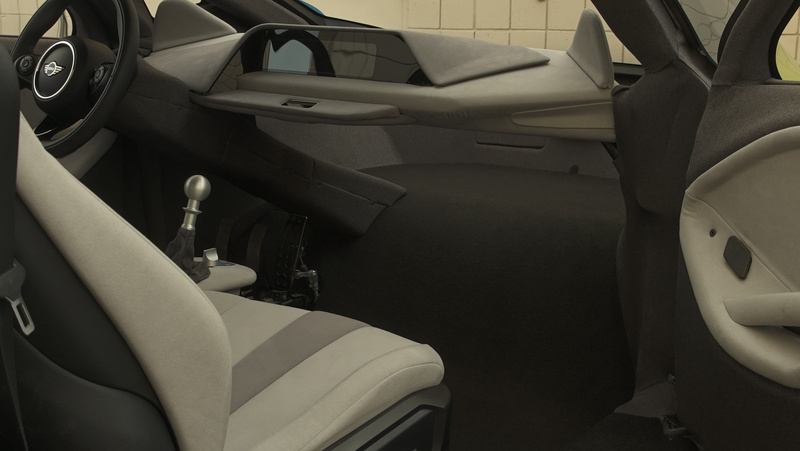 The concept vehicle includes one of the two hybrid options, which was the most challenging to build. For the hybrid and BEV variants, electric motor cooling elements are functionally integrated inside the vehicle’s rocker panel, eliminating the need for conventional radiators and giving easy access to the front storage space. Rocker cooling takes advantage of otherwise unused space. Engineering the vehicle with manufacturing in mind resulted in a modular architecture Students explored the theoretical concept of assembling the vehicle from four large separate modules. A customizable personal virtual companion, MINI FACE, replaces the conventional static instrument cluster. A customizable personal virtual companion, MINI FACE, replaces the conventional static instrument cluster and center stack. 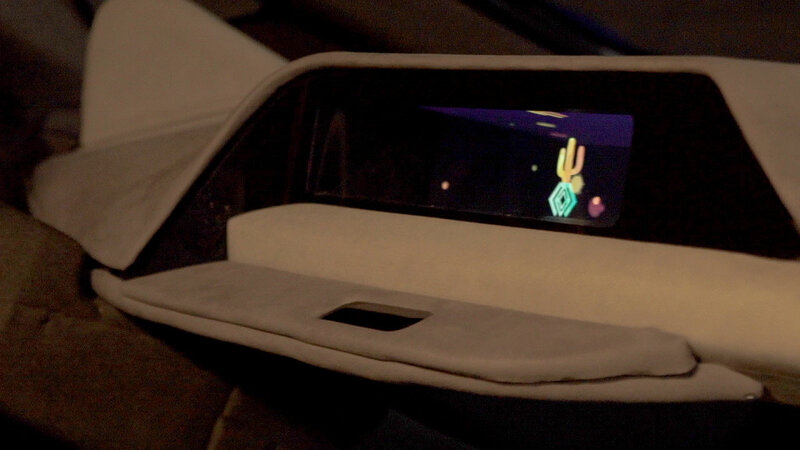 MINI FACE anticipates the needs of the driver and presents relevant information on a holographic display. Much like theatre scenery, important interactive elements are in the front, while other information remains visible on display layers in the back. Hand gestures are used to interact with the system in three dimensions. When parked, the MINI Parking Marshal concept uses its own exterior lights to guide other drivers who are parking in front of or behind it. The lights illuminate incrementally as the other vehicle approaches. The lights encourage drivers to park at an optimal distance. A driving simulator is used to demonstrate this concept. Deep Orange is a flagship program of Clemson’s two-year master’s program in automotive engineering. The program provides students with experience in market analysis, target customer profiles, vehicle design, prototyping, and manufacturing while balancing costs and design targets in an aggressive timeline. The innovative vehicle prototype program encourages students to push the boundaries of conventional design and engineering. The Clemson University International Center for Automotive Research (CU-ICAR) is a 250-acre advanced-technology research campus where university, industry and government organizations collaborate. CU-ICAR offers master’s and Ph.D. programs in automotive engineering and is conducting leading-edge applied research in critical areas, such as advanced product-development strategies, sustainable mobility, intelligent manufacturing systems and advanced materials. 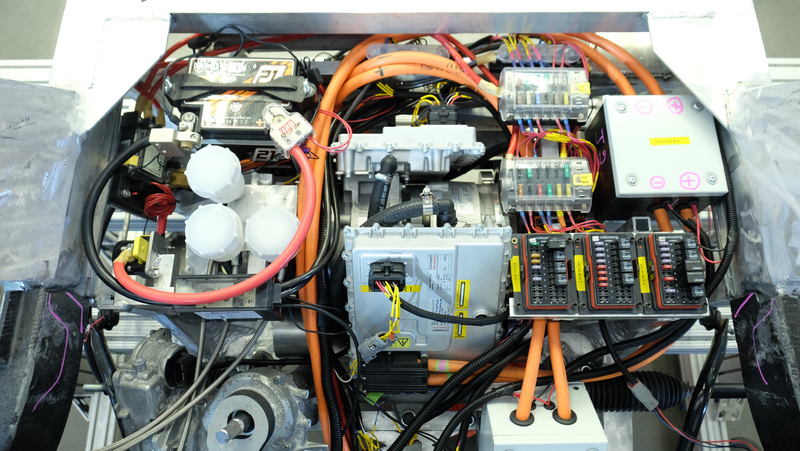 CU-ICAR has industrial-scale laboratories and testing equipment in world-class facilities available for commercial use. BMW of North America LLC has been present in the United States since 1975. The BMW Group in the United States has grown to include marketing, sales and financial service organizations for the BMW brand of motor vehicles, including motorcycles, the MINI brand and the Rolls-Royce brand of Motor Cars; DesignworksUSA, a strategic-design consultancy in California; a technology office in Silicon Valley; and various other operations throughout the country. BMW Manufacturing Co. LLC in South Carolina is part of BMW Group’s global manufacturing network and is the exclusive manufacturing plant for all X5 and X3 Sports Activity Vehicles and X6 and X4 Sports Activity Coupes. The BMW Group sales organization is represented in the U.S. through networks of 339 BMW passenger car and BMW Sports Activity Vehicle centers, 140 BMW motorcycle retailers, 121 MINI passenger car dealers and 35 Rolls-Royce Motor Car dealers. BMW (US) Holding Corp., the BMW Group’s sales headquarters for North America, is located in Woodcliff Lake, New Jersey. Founded in 1930 and located in Pasadena, California, ArtCenter College of Design is a global leader in art and design education. With a current enrollment of approximately 2,100 students (52 percent female and 48 percent male, representing more than 40 countries), the College has a student/faculty ratio of 9-to-1. ArtCenter offers 11 undergraduate and seven graduate degrees in a wide array of industrial design, visual and applied arts disciplines, as well as a joint MS/MBA program with the Drucker School of Management and a minor in Social Innovation through the Designmatters program. ArtCenter is a private nonprofit fully accredited by the WASC Senior College and University Commission (WSCUC) and the National Association of Schools of Art and Design (NASAD). Renowned for both its ties to industry and social impact initiatives, the College is the first design school to receive the United Nations’ Non-Governmental Organization (NGO) status.